It’s useful to go back to previous years pictures and take another pass thru what images you’ve kept. In the days after I’ve taken pictures, I’ll get rid of the obviously bad ones. I’ll find the one or two images I definitely want to post here or elsewhere and move on. Now I’m going back again and further culling what I don’t want to save for various reasons. Plus I’ll take a little more time to study what I’ve got left. Here’s an image I cropped down from the wide angle shot I’d originally made. 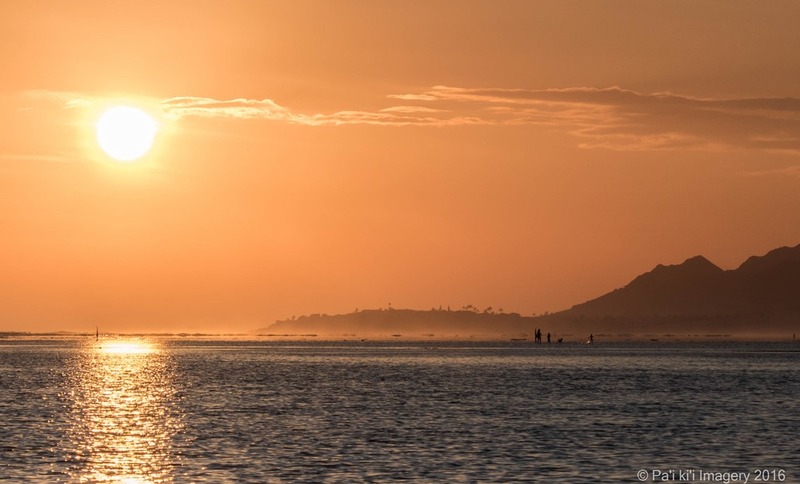 It makes the setting sun, the back side of Diamond Head and the family walking back to the nearby beach more prominent. The family adds a sense of proportion and movement and makes for a more compelling picture.